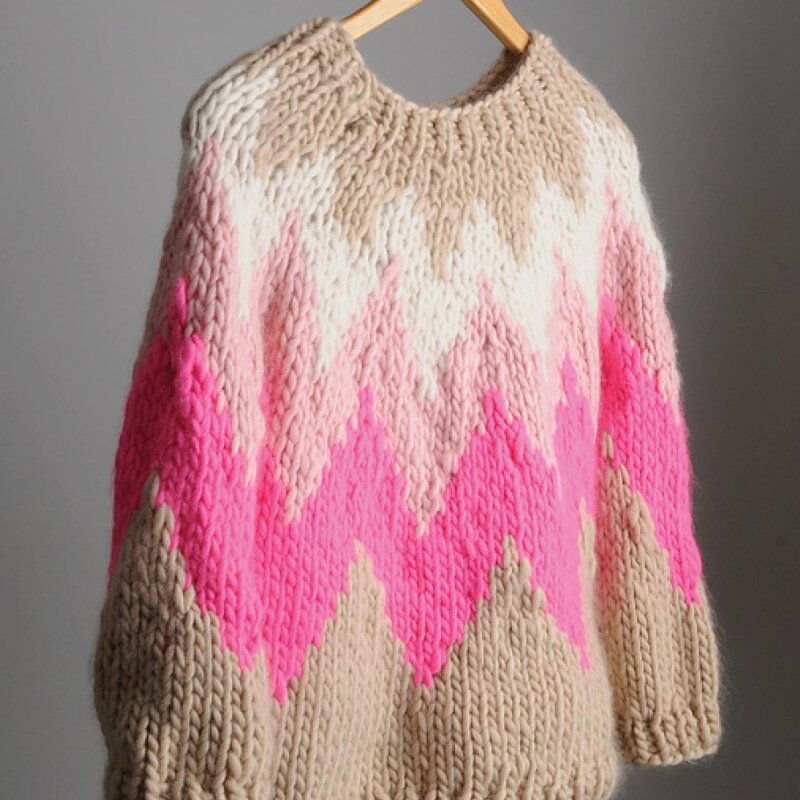 The Zig Zag Jumper is worked from the top down and is very quick and simple and so cushy in Mrs. Moon Plump Super Chunky. NOTE: Kit makes up to 47.5" bust size.